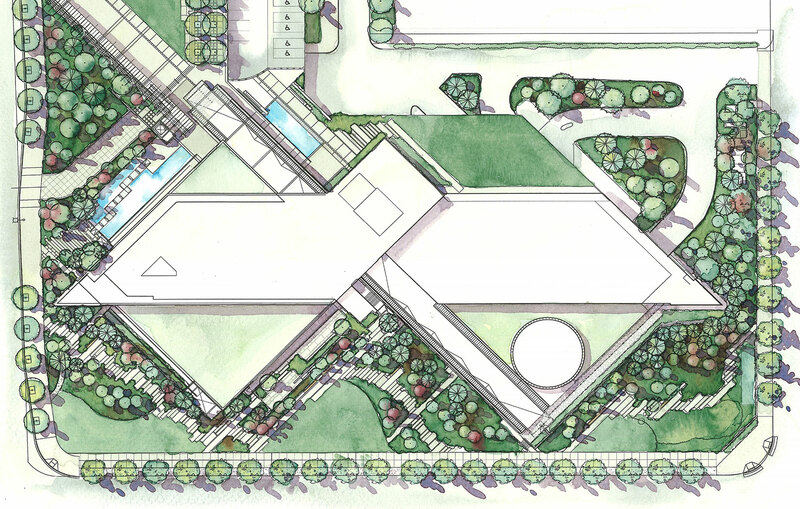 PFS Studio was engaged to renew the landscape around the existing Burnaby City Hall as a Millennium Project which would establish an overall conceptual framework for the grounds as well as integrate new and established activities on the site. The acknowledgement and celebration of the new millennium was an important part of the conceptual framework. 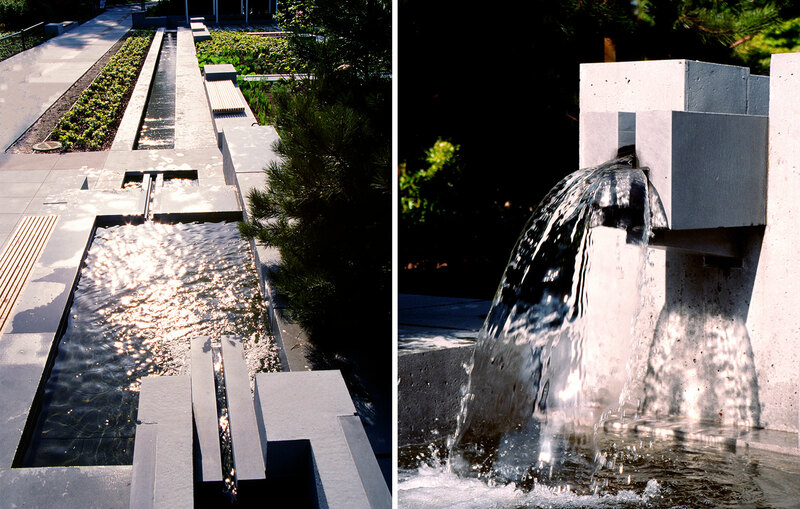 Key features of the contemporary design are a large paved plaza suited to public events and extensive areas of landscaping and water features. 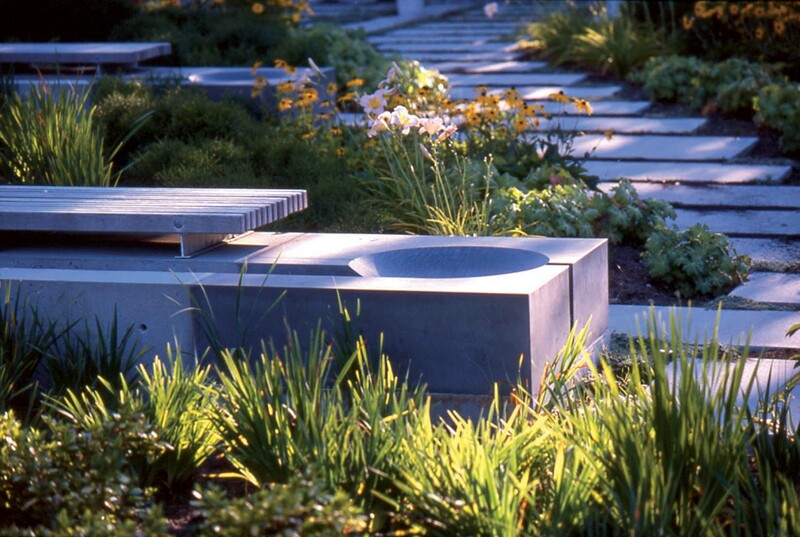 The design is overlaid with geological, ecological or cultural abstractions from a range of historic time periods which have contributed to present day Burnaby. These elements are sometimes literal, sometimes symbolic, but together establish a coherent, functional and vibrant civic space.